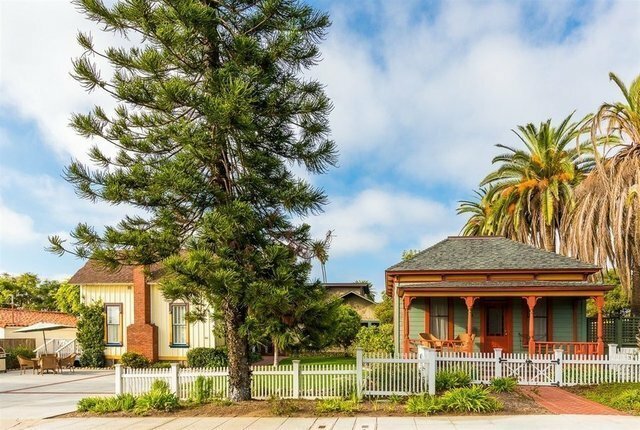 A unique opportunity to own a collection of 3 meticulously restored, award-winning historic homes plus a studio guesthouse that all offer modern day amenities that seamlessly merge with their classic architectural styles. Surrounded by professionally landscaped grounds that span a block of land near the beach in La Jolla's, Barber Tract, these rare homes come with the Mills Act property tax savings. Currently used as vacation rentals, the detached homes also offer a variety of use options. See Supplement.